Watch the complete first season of The Curse of Oak Island, plus hours of Pawn Stars, Top Gear, and more. 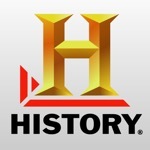 All of your favorite HISTORY shows are available wherever and whenever you want, right on your iPad, iPhone or iPod touch. The HISTORY app is a great new way to access full episodes and clips from all that HISTORY has to offer. New content is added all the time. PLEASE NOTE: HISTORY CONTENT IS ONLY AVAILABLE TO STREAM IN THE UNITED STATES. 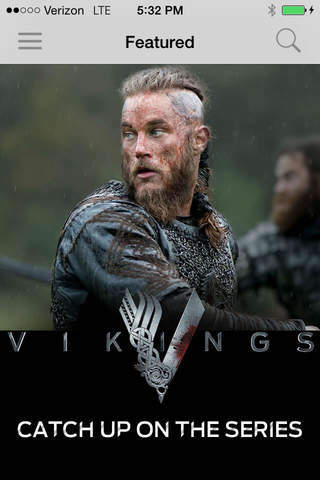 •Watch full episodes and clips of your favorite HISTORY series including Pawn Stars, Vikings, American Pickers, Swamp People and many more. This app has a 4.5 star rating (15466 ratings). It occupies the 6928th position in our ranking with 79 points. It is among the 1% best ones of its category and among the 1% best ones of the overall top.